GIF(Graphics Interchange Format) images are trending everywhere. It is a new form to express sense of humor on social media these days. 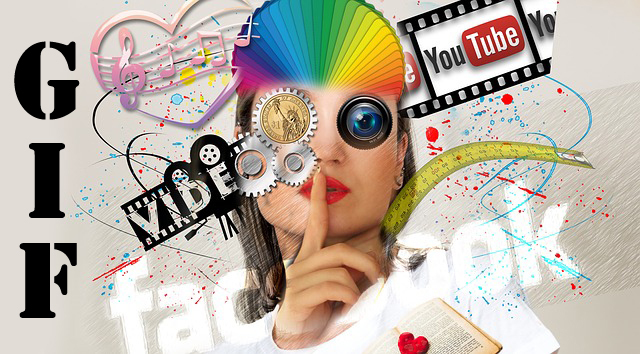 With so many public videos on social networks like YouTube and Facebook, it is easy to find videos with such humor. A small GIF can be created out of the small part of such videos. One can easily cut a video and make a GIF image when they have videos on their hard drive. However, some websites like YouTube and Facebook don’t allow users to download videos. So the following alternate solution can come handy. This trick will work only in the Chrome browser. Step 1: Add GIFBot Chrome extension to Chrome browser. Step 2: Open a video from which you want to make a GIF. 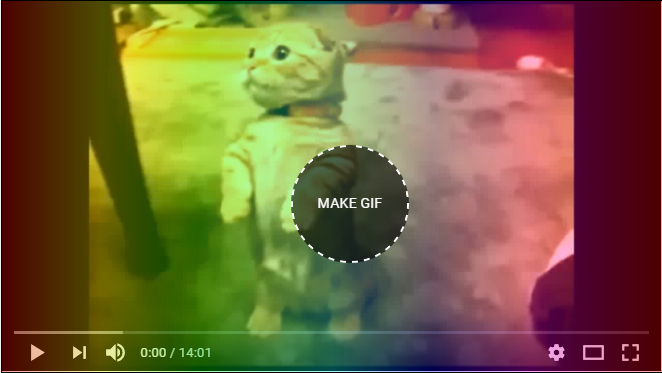 Step 3: Click on the extension and put a mouse cursor on the video to get “MAKE GIF” option. 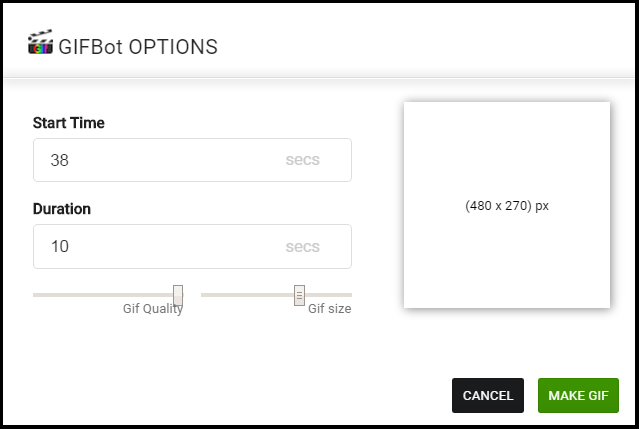 Step 5: Select the start time, duration, gif quality and size from GIFBot options. Step 6: Click on make GIF button and wait for it to process GIF. The processing may take some time depending on the options you choose in step 5. Once your GIF is ready, you will get two options. You can either save the GIF image to your computer or you can upload it directly to imgur. The extension works perfectly fine on both YouTube and Facebook videos. However, it supports major HTML 5 videos on different websites. You can make a GIF from YouTube, Facebook, Vimeo, Dailymotion or any other video content website using this extension. GIF images are usually of shorter duration. The extension follows the same practice and allows you to create GIF of 20 seconds or less. Even if you try to put duration of longer than 20 seconds, your final output will have GIF image of approx 20 seconds only. Start time is also important because you have to put it in seconds. So carefully, calculate the start time in seconds in order to avoid any confusion. For the best quality, you can adjust gif quality to maximum but keep the size as less as possible. Chrome crashes if you select the maximum size. That is just one flaw with it. However, choosing proper size won’t create any problems. Keeping the quality and sizes to very low values will not produce great results. Although the file size of the final output will be less, overall quality will be poor. So choose both these values according to the output that you are expecting. As I said earlier, YouTube and Facebook does not have a direct option to download videos. So this simple extension can help you to make a GIF out of videos on these websites. No need to download videos or any software. Overall the extension does the job very efficiently. It saves a lot of time and images are processed as faster as any other software. So the next time you see some content which can be converted into GIF, do try this trick.